This was my first time trying KIKO make up and I was given a selection of products to try. I was both amazed and scared by the bright pigments, and I really wanted to find a way to make them work for me, so I thought creating a really summery look would be a good idea. I used the beautiful peachy *sunny coral pigment all over the lid up to my socket and I applied the super vibrant *breezy azure pigment along my bottom lashes. 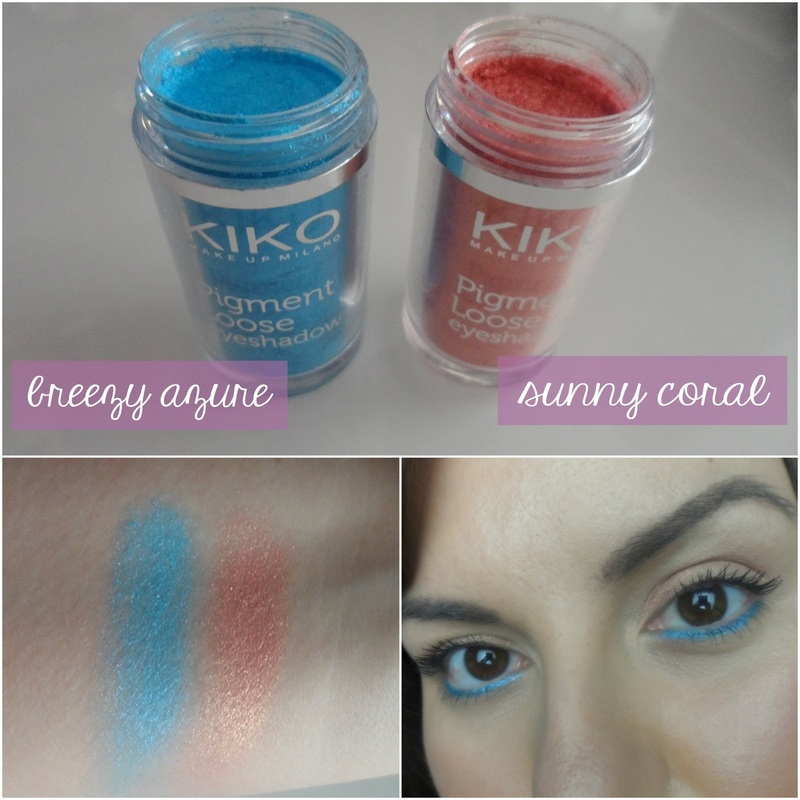 I used the pigment dry for my lids and wet to get a more precise line with breezy azure. 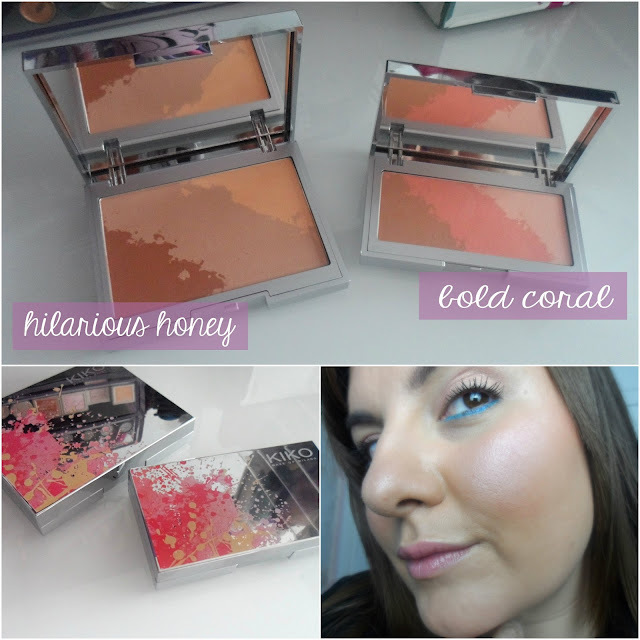 As I was going for a bright summer look I let myself get a bit crazy with *multi-tonal bronzer in hilarious honey and I topped with with *bold coral blush (the link goes to the other shades as this one doesn't seem to be on the site) which I absolutely love. These multi-tonal products are great because you get three different colours in each, which you can either wear individually or swirled together. I went for the swirled together approach with both products. The bronzer does have a particularly deep tone in it, which is what has made me look seriously bronzed here, so for normal wear I'd probably just stick with the two lighter shades in that palette for my skin tone. The packaging of these palettes is just gorgeous too - they could have just left them in plain mirrored compacts but the splash of colour really adds something special and it keeps drawing me back to using them. The other products I'm wearing in these photos are - Laura Mercier silk creme foundation, Lancome hypnose drama mascara (top lashes), Clinique bottom lash mascara (a very light coat on the bottom lashes so as not to detract from the liner), two colours from the Look Beauty brow palette on my brows and Maybelline color whisper in lust for blush on my lips. What do you think - bit heavy on the bronzer?! Would you wear such a bright eye look?